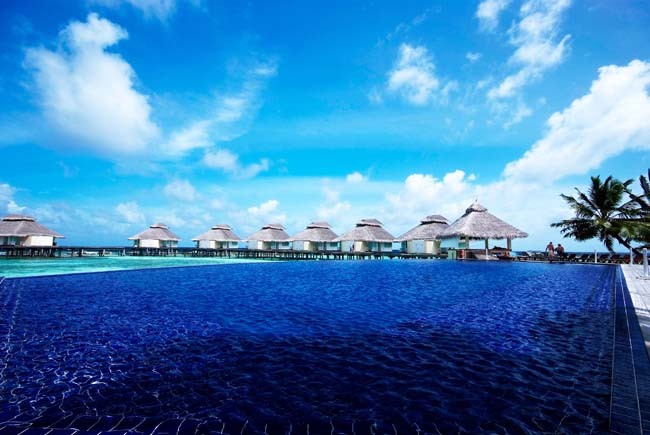 Ellaidhoo Maldives by Cinnamon offers peace and tranquility – the island is fringed with palm trees and soft sandy white beaches offering complete privacy. The sea is enticingly warm and welcoming and the pristine coral reefs has the most incredible underwater life that you can ever imagine. A kaleidoscope of florescence coloured fish in an underwater garden of coral reef is certainly a spectacular sight. Ellaidhoo is a wonderful and often overlooked island. 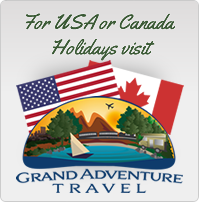 It has lovely accommodation, a great chilled out atmosphere, an excellent house reef and great food/beverage. 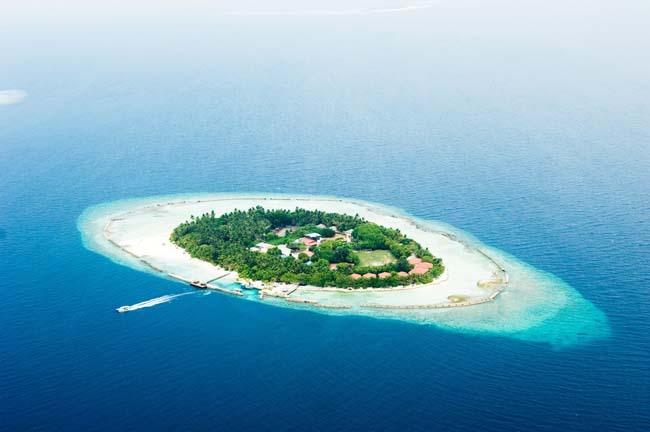 Located 42 km away from Male, the capital of Maldives, Ellaidhoo is 25 minutes by seaplane or 85 minutes by speedboat. 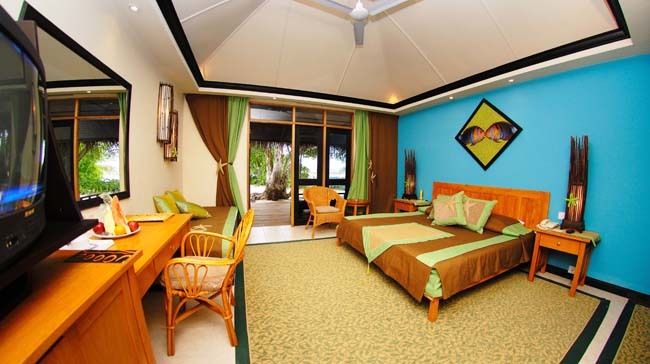 Ellaidhoo Maldives has 104 rooms each with airconditioning, minibar, openair bathroom, satellite TV and tea/coffee making facilities. 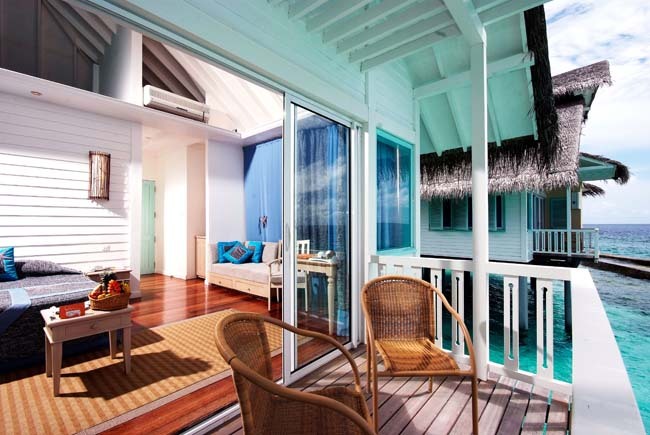 Standard rooms – are in single storey structures located just behind the Beach Bungalows. 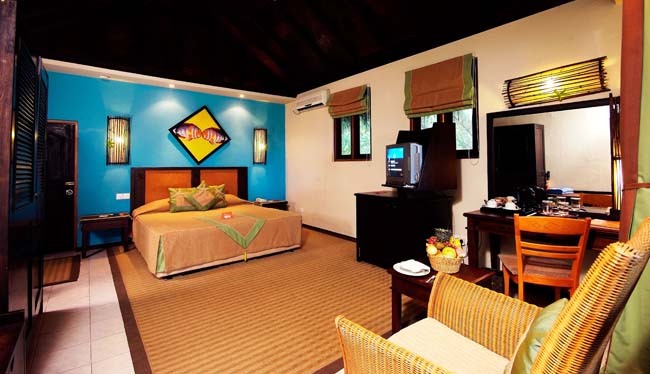 These rooms open out to the garden area with lush palm trees and pristine footpaths leading the way to the beach. 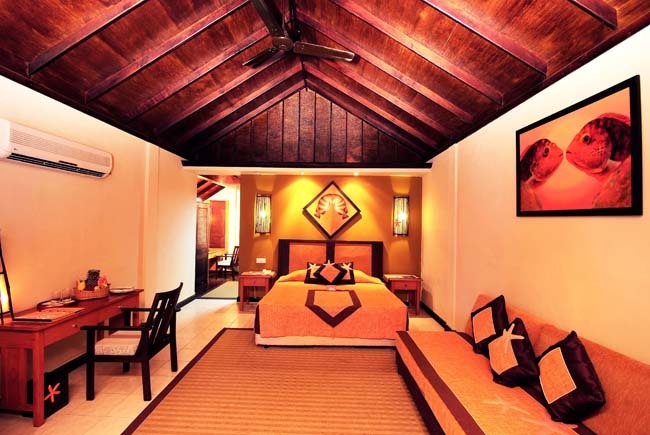 Superior Rooms – are wonderfully designed, facing the Indian Ocean, in groups of four rooms as two-storey structures with two rooms on each floor. Beach Bungalows – are discerningly designed as separate private single storey units which open out to offer an amazing view of the ocean. 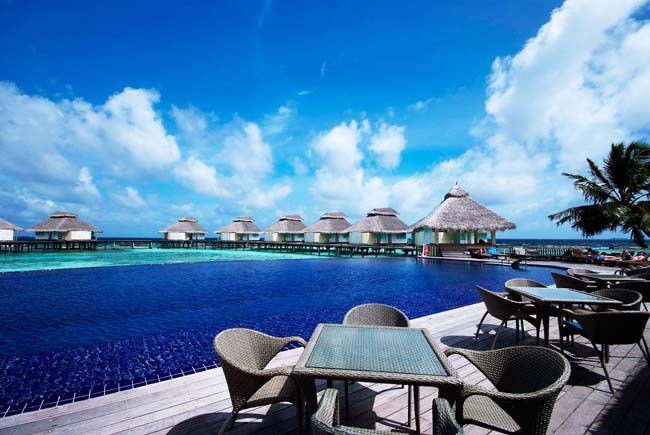 Water Bungalows – are built on stilts as two independent bungalows in a single over-water unit offering magnificent views of the sea. Madi Restaurant – with a wide choice of delicious spreads from around the world served buffet style for breakfast, lunch and dinner. 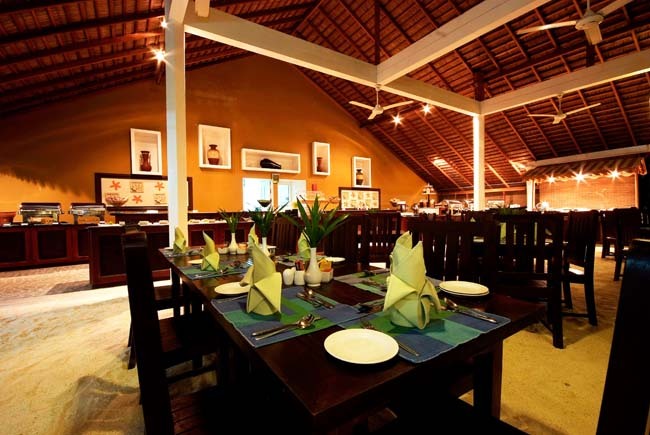 Malamathi Restaurant & Bar – serves buffet style & caters exclusively for residents of the Water Bungalows. 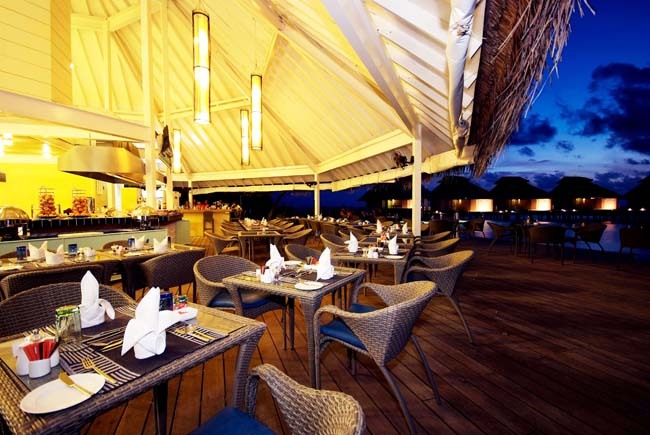 In addition the spectacular outer deck by the pool with a view of the ocean is an al-fresco A-la-carte dining option. Iruohsnee Bar – The main bar in the island, overlooking the Indian ocean, an ideal place to let a tropical cocktail melt in your hand while you take in a breathtaking sunset from the open air deck or watch the stingrays that swim in daily at around 6.30 pm, remember to have your camera with you as watching these denizens of the ocean feeding at sunset is definitely a memory worth taking back with you. Buffet meals (breakfast, lunch and dinner) in the Madi restaurant and morning, evening and night snacks. Domestic-brand alcoholic beverages and soft drinks including draught beer, selection of cocktails, house wine, house brand spirits, fruit juices, still bottled water, and tea and coffee. Use of fitness centre, badminton, tennis courts, table tennis, snooker,beach volleyball and squash. All items included in the standard All Inclusive option plus a bottle of sparkling wine on arrival, mini-bar including water, soft drinks and canned beer (refilled once daily, premium branded spirits and cocktails, fresh juices and milk shakes, choice of 2 selected excursions during stay, invitation to special events organized by the resort, a special dinner on the beach with the option of a mixed seafood grill or steak and one 60 min signature Balinese Spa Treatment.